The Hotel/Motel Profit and Loss Database contains financial information for over 600 hotels and motels in New York City for the most recent year. Historic data from 2010 to date is available upon request. Operating income itemized by hotel departments and standard expense summaries are provided for each property. 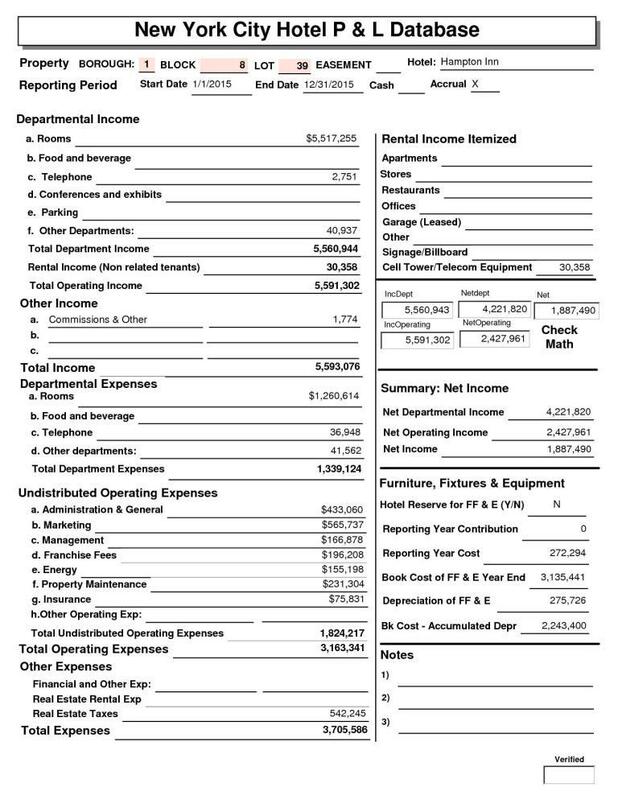 Expenses include both departmental expense categories and undistributed operating expenses in standard hotel accounting format. Data formats: DBF (database format), Excel Spreadsheet, CSV or TAB Delimited text files. Media: CD/DVD or Direct Download. This is a useful tool for investors, property management and valuation experts. Essential for hotel appraisals. Order now.